Chris Matthews said California Rep. John Campbell was trying to "appease nutcases." The on-again, off-again debate over whether Barack Obama was born in the United States is, well, on again. Just a few days after an angry protester, waving a birth certificate, confronted Rep. Mike Castle (R-Del.) over Obama’s origins, California Rep. John Campbell took to MSNBC’s Hardball to promote his bill requiring presidential candidates to submit copies of their birth certificates. But it didn’t take long for the interview to turn to questions about whether Campbell believed Obama himself was American-born. 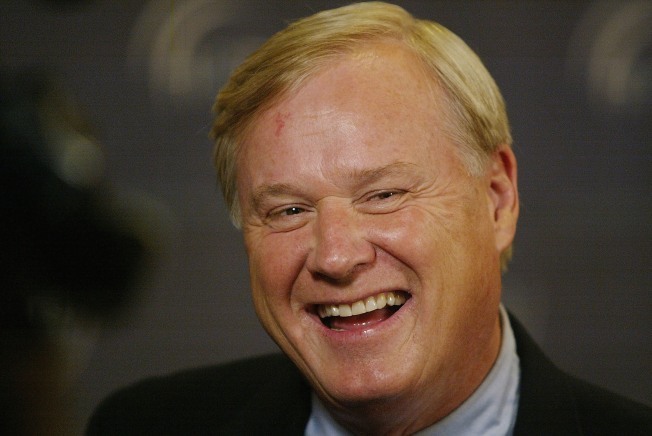 “What is going on that so many Americans doubt the obvious, that Barack Obama is a citizen, to the point that you felt it necessary to co-sponsor this crazy proposal?” host Chris Matthews asked Campbell. “It`s 2012 and beyond,” he said. That wasn’t enough for Matthews, who pressed on – and accused Campbell of trying to appease “the nutcases” while holding up a copy of Obama’s birth certificate. After Matthews accused Campbell’s bill of “feeding the wacko wing of your party,” the Californian budged – if only slightly.